The Sino-Korean friendship bridge in in the border town of Dandong, Liaoning Province, China. It is the only working passenger rail bridge connecting China and North Korea. 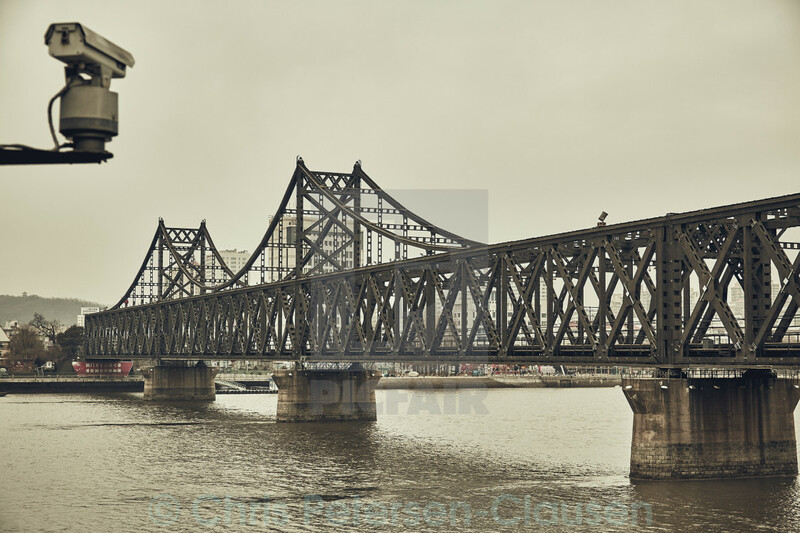 Presently one passenger train travels over the bridge to Pyongyang each day at 10am.